S.No. 232 of notification No. 12/2012-Central Excise, dated 17.03.2012 exempts excise duty on specified goods intended to be used for the installation of a cold storage, cold room or refrigerated vehicle, for the preservation, storage, transport or processing of agricultural, apiary, horticultural, dairy, poultry, aquatic & marine products and meat, subject to observance of the procedure under the Central Excise (Removal of Goods at Concessional Rate of Duty for Manufacture of Excisable Goods) Rules, 2001. Circular No.672/63/2002-CX dated 23.10.2002, issued with regard to similar exemption under notification No. 6/2006-CE dated 23.10.2012, clarified that so long as the procedural requirements of the afore mentioned rules are complied with, the benefit of such exemption should not be denied solely on the ground that the person receiving the specified goods is not a manufacturer of excisable goods. It is hereby, reiterated, that the clarification issued vide the Circular No.672/63/2002-CX dated 23.10.2002, applies mutatis mutandis to Condition No. 2 for exemption under S.No. 232 of notification No. 12/2012-Central Excise dated 17.03.2012 also. Mahendra patel: On 02 March 2016 what is new excise rate of goods? Anantha Padmanabha Sankaranarayana : On 11 August 2016 I am Sankaranarayana Auditor in Bangalore, some of our clients asking some small small clarification from time to time, how can you help us in this regard. Waht is your charges. 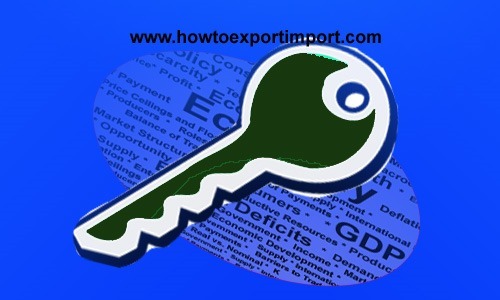 For example: One Trading Goods company (delaing Aluminium) got an Export order, How can he avail excise benefit (exemption) from the Manufacturer (Supplier) One more Clarification, If they export, they can claim back, the duty draw back, what is the procedure. dinesh: On 11 August 2016 i am reading your article regaridng import export, Sir i have some query plz give me your valuable advice. I want to export steel (bar) form chhattisgarh to nepal as become a trader. So plz tell me how will i get exemption in excise and vat, i will buy form manufacturer in my firm and sale to nepal in my invoice plz tell me procedure.